The university itself is situated in the city on a unique campus with lots of traditional architecture and a huge library with over 13 floors. 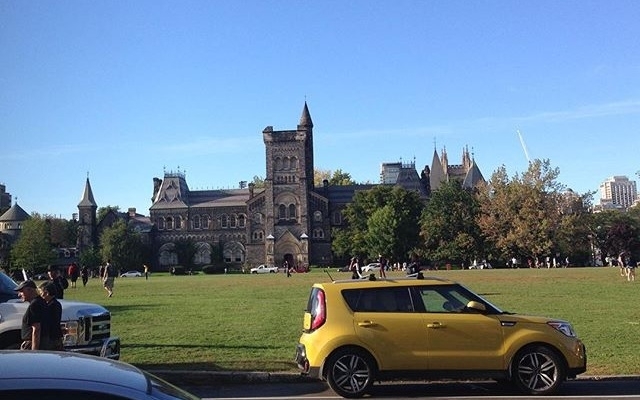 It is a massive campus which is not surprising when you consider the fact that U of T has over 80,000 students. As the university is divided up into colleges, many have their own smaller libraries, which I often used for studying since they were nice and quiet. I was initially surprised with the university’s lack of interest in sport as I assumed being a university of 80,000 students that the sport culture would be really alive and vibrant. For sure there are football clubs, a boxing club which I joined and gym classes available to students but I must admit it wasn’t quite as I had expected. Perhaps this is because U of T is such a heavily academic institution. Nevertheless there are still plenty of opportunities to join clubs, I played for the exchange student football team and joining the boxing club allowed me to meet lots of new people. Clubs and societies are one of the best ways of meeting people and I am glad that I managed to get involved. This semester I am hoping to try out some new activities. I joined the Ski club in December and this semester I will be heading to Quebec with them on a 4 day skiing trip during reading week which I am really excited for! Back at Lancaster I really enjoyed going to the gym and luckily for me there are three different gyms on U of T’s campus which are all great to work out in as a break from studying; I tend to go to the athletic centre because it is nearest to the majority of my classes. However there is the Hart House gym which is located in a very old, traditional building near University College which seems quite bizarre at first but is really cool. The other gym is next to the Varsity Centre which I haven’t yet tried but it looks very nice and modern. No doubt, the workload in Toronto is more than what I was used to dealing with at Lancaster and there were a few times when it was difficult to balance work with my social life, particularly towards the end of the semester with finals. However there is certainly time to have fun and it’s really important to try and find a good balance. The way that my modules were split up into midterms in October and finals in December was good since I was learning continuously as opposed to just cramming for finals (like was often the case at Lancaster). Well, that is my positive way of looking at it! I have thoroughly enjoyed my time in Toronto so far and the city itself is great. It has a good transport system that allows you to get around the city easily. This was particularly helpful for me since I had to commute to the Scarborough campus for one module once a week. I noticed some of the other exchange students saying it was expensive but you pay per trip so when I went to the Scarborough campus it was $3 there and $3 back which for a journey that was slightly over an hour I thought was really cheap. You can also get a TTC (Toronto Transit Communication) pass which gives you access to the subway, streetcars and buses in the Greater Toronto Area for about $110 a month. They all run really regularly from Monday to Saturday from 6am to 1:30am but Sundays are slightly shorter hours. However I just payed per trip since I walk to university and didn’t think I would get good value out of the pass. In Toronto there are the popular and iconic attractions such as the CN tower, The Royal Ontario Museum, Toronto Islands and Casa Loma which are all really cool and definitely worth visiting. But there are also lots of really cool areas within the city like Little Italy, Chinatown, St Lawrence Market, The Distillery District and Kensington Market some of which I am yet to visit. The food in Toronto is amazing and there are hundreds of fantastic restaurants to enjoy, any kind of food you want, name it and there are restaurants serving it here. This diversity is reflective of the wider culture of Toronto; it is a city where cultural and even linguistic diversity are the norm, which is completely new to me but is one of the things that makes Toronto great. In the city there are countless bars and cafes that are perfect to chill out in and talk to friends, Kensington Market is one of my favourites as it has a number of really nice and trendy bars. On nights out I tend to go to bars for drinks with my friends but for those who prefer clubbing there are plenty of clubs downtown. 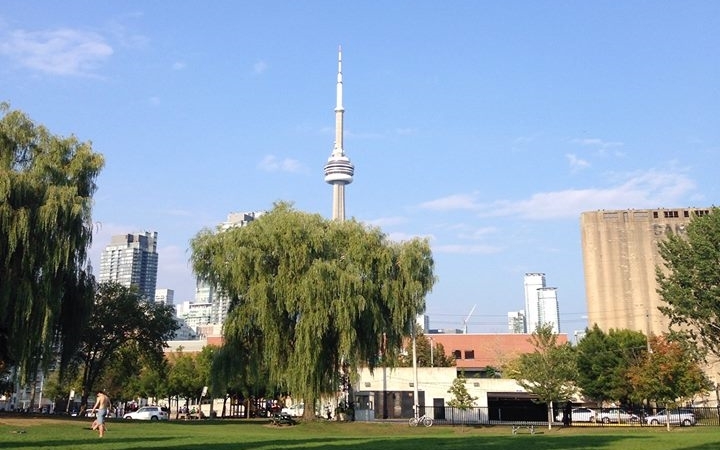 One of my favourite things about Toronto is simply the fact that there is always stuff happening downtown and I found that by keeping up to date with both the exchange student Facebook Page and other Toronto based websites I was able to learn about lots of upcoming events in the city. In September there was the Toronto Film Festival which I was able to experience and in October there was the renowned Nuit Blanche, a unique and very popular Art Festival in Toronto which was really interesting. There were also unique exhibitions at the Royal Ontario Museum that were very intriguing such as a historical exhibition on Pompeii which I regrettably missed out on. Overall Toronto is a fantastic city with endless places to visit, countless events to attend and unlimited supplies of amazing food! 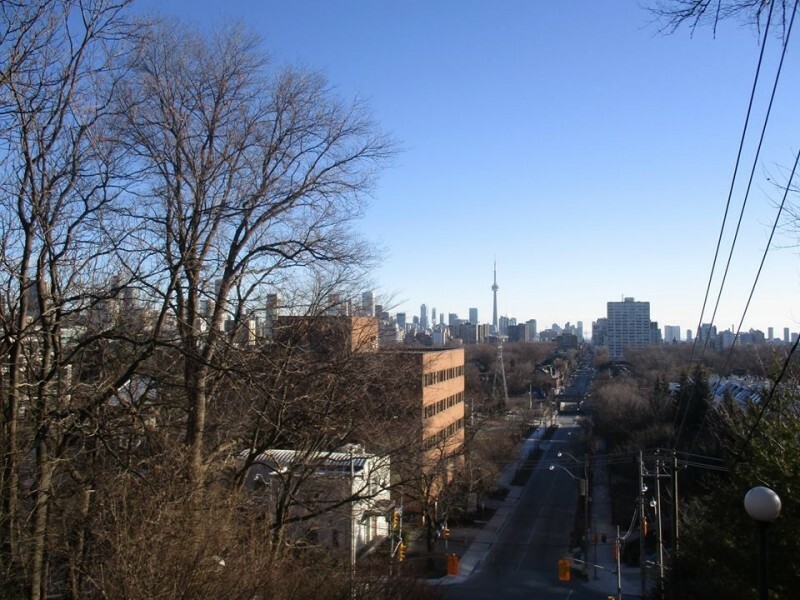 The city lifestyle is completely new to me and was one of the main reasons I chose to study in Toronto and it is a decision I definitely do not regret. I arrived in Toronto in late August and was very nervous but excited before my arrival since it was my first time travelling abroad on my own and the first time I would be living in a foreign country. The first few days in Toronto were challenging, since the accommodation I was staying in was not yet ready for ‘move-in’s’ so I spent the first few weeks hopping from hotel to hotel. Although this was difficult since it meant I could not settle down and meet everyone I would be living with, it was also quite a fun experience as I met lots of cool people in the hotels. Similar to first year, I initially had some negative feelings and felt quite homesick during the first few weeks in Toronto, but as I had learned from first year as long as I got involved and made an effort to speak to people and engage with them, I knew I would begin to relax and enjoy myself more. I kept involved in the CIE’s (Centre of International Experience) activities, meeting lots of interesting people and immediately started to feel more comfortable. The CIE at Toronto was very good upon arrival and they organised numerous activities and meet-ups for all the exchange students. Our first trip was to Niagara Falls which was an amazing experience and one that I am glad I had the opportunity to see. Also later that month we went to Algonquin Park for a weekend camping trip which was fantastic. Algonquin Park is a beautiful provincial park in Ontario and was an amazing experience. We went hiking, swimming and canoeing which were all great fun and I met lots of really nice people that I would go on to spend more time with. I remember at the study abroad meeting the head organisers were saying that the year abroad is not a holiday and that you are essentially there to work. This does obviously have elements of truth to it for sure, but to not take advantage of these activities would, for me, defeat the object of studying abroad. My older brother said to me before I set off to try be a ‘yes man’ as much as possible. Meaning that he wanted me to say yes to all opportunities that were presented to me. At times this was obviously not possible due to things like finals and midterms but I tried my best throughout the semester to stay active and involved and it definitely helped me get the most out of the first semester! For me one of the most rewarding parts of the study abroad experience so far is having so many opportunities to speak to people from different countries and completely different cultures. Never before have I had such a great opportunity to engage with people from so many different places, this is certainly one of the best things about studying abroad. I have spoken to Danish students, Spanish students, Swedish students, French students, German students and last but not least, Canadians. I am a person who has always loved watching and playing sport, in England this has primarily involved Cricket, Football, Tennis and Boxing. In Toronto it has been really refreshing to experience a completely different sporting culture. 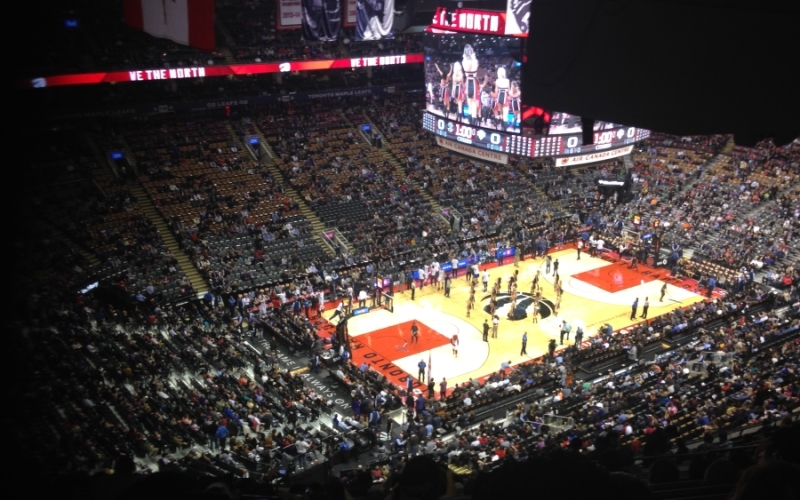 I was lucky enough to go and see Toronto’s basketball team, The Toronto Raptors play against The New York Knicks. This was great fun and as an added bonus we were able to watch Carmelo Anthony play, a very highly rated American NBA player. 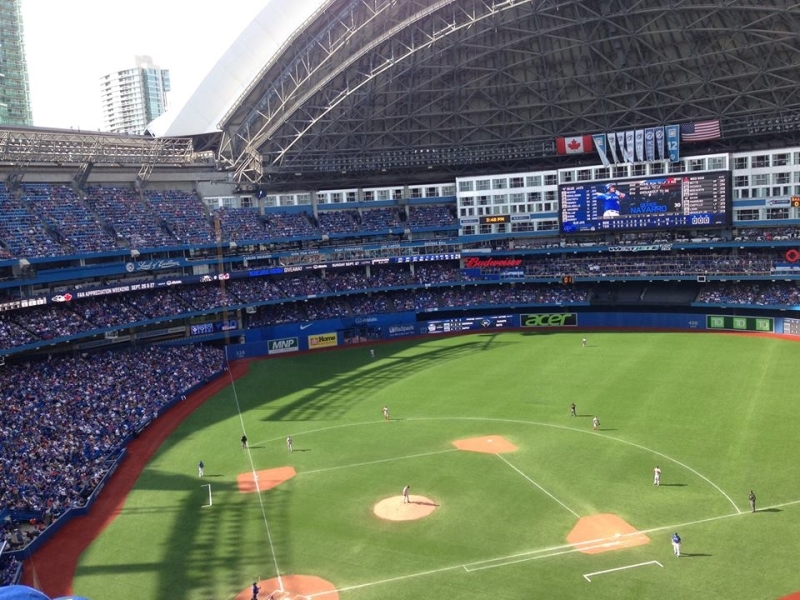 I also went to watch Toronto’s baseball team, The Toronto Blue Jays play at The Rogers Centre. Although they lost I was really happy to watch my first baseball match and the throwing and fielding was amazing to watch. The Blue Jays also got into the playoffs for the first time in over 20 years so watching them on TV was fantastic and the excitement in the city was palpable and infectious, people were even watching the post-season games in lectures. Ice Hockey is also really popular here and I had great fun watching U of T’s first team play. At some point I would like to go watch The Maple Leafs, Toronto’s Ice Hockey team play. Overall this change of culture was great because I learnt lots about sports I previously knew very little about such as Baseball and Ice Hockey. One other popular activity in Toronto is ice skating and there are a number of places in the city where you can try it such as Nathan Phillips Square and downtown by The Harbour Front. Unfortunately I did not manage to go before leaving for Christmas but I look forward to giving it a go when I come back in January! The exchange student page on Facebook is really helpful and there is always posts from other exchange students regarding events and interesting things to do in Toronto. I found this very helpful because it informed me of countless opportunities to meet up and socialize with other exchange students which I took full advantage of. With all these events going on I was busy the majority of the time which was great as I was never bored or lonely. The Facebook page alerted me of an Exchange Student Soccer Team which I joined and had great fun playing in. Social media also informed me of Nuit Blanche, a hugely popular yearly art festival in downtown Toronto which I was lucky enough to experience with lots of other exchange students.